Every Harry Potter fan knows what happened after JK Rowling moved on from the wizarding world. She wrote a subpar book called The Casual Vacancy (which I didn’t finish), then started a detective series under the pseudonym Robert Galbraith. The third book in the Cormoran Strike series was just released, so I presume her switch in genre was a good one. I picked up The Cuckoo’s Calling with great reservation because The Casual Vacancy was a disappointment. Granted, I had unreasonable expectations of recapturing the magic of Harry Potter in a book about the muggle world. But still, it was dreadfully boring. When I found The Cuckoo’s Calling in a discount bin for a few bucks, and I knew the third in the series was being released, I thought surely it was going to be that stellar post-Harry Potter read I’d been waiting for. Private Detective Cormoran Strike is a war veteran and amputee struggling to keep his small business afloat. Riddled with debt and few cases, he can scarcely afford temporary secretaries. Then a financial savior arrives. John Bristow insists his adopted sister Lula – a half-white, half-black goddess of a supermodel – did not commit suicide but was in fact murdered. Strike knows the Bristow family, as he was friends with Charlie, John’s deceased older brother. With an aging mother and a dead father, Strike is sympathetic towards Bristow, as the family had seen a fair amount of tragedy. In desperate need of money and out of respect for an old friendship, Strike takes the case to determine whether Lula jumped off her balcony to her death or if she was pushed. There’s also Robin, the latest in temp secretaries who’s lured by the intrigue of detective work. I’ll spoil this part for you and say Robin is eventually hired on to be his full-time employee. Every detective needs a sidekick. What transpires in The Cuckoo’s Calling is a flurry of filthy rich people, along with a few who ride their coat tails hoping for scraps from the fine life. Lula’s family of origin come into play, as she was a mixed-race little girl adopted into a wealthy, grieving family. She was the token child meant to bring joy, but her emotional and mental instability left her unable to perform. On account of her unmatched beauty, she was scooped up by the entertainment industry where she cultivated her own fortune and ran around with the rich and famous. The narrative is a real-time unfolding of Strike’s thought processes, his investigative interviews, and the big reveal at the end where he confronts the killer and explains how the crime was committed. It is a classic crime thriller with spot-on archetypes, red herrings, and an underdog for a protagonist. I challenge you to predict the ending. Even if you have a whiff of who did it, there are pieces of evidence that Rowling – er, Galbraith – throw in at the end to make the case air tight. So why was this book just “okay”? First, it was really long. I’d say it was about 150 pages too long. All of Strike’s backstory felt unnecessary, but I can only presume that Rowling wants us to have a tertiary knowledge of his past for plot points in future books. Some backstory is helpful in fleshing out a character, but it dragged on. Also adding to the book’s length was the punctuation of Strike’s every move. A second reason why the story didn’t leave me reeling was because I couldn’t latch onto a character that I wholeheartedly loved or hated. (This was the primary problem I had with The Casual Vacancy.) Strike is clever and hardy, a true underdog you want to root for, and Robin the secretary is likable enough. However, the cast of ruffians surrounding Lula’s death are obnoxious. None of them were diverse enough from one another to stand out. Finally, in an effort to be completely transparent, I think I’m jaded. Even though one cannot compare Rowling’s Harry Potter series to “Galbraith’s” Cormoran Strike series, one subconsciously does. The similarity in writing is definitely there since Rowling loves her adverbs. Plus, there’s been no attempt to hide the pseudonym, so Harry Potter fans are going into these crime thrillers knowing exactly who wrote them. I just couldn’t separate the two. 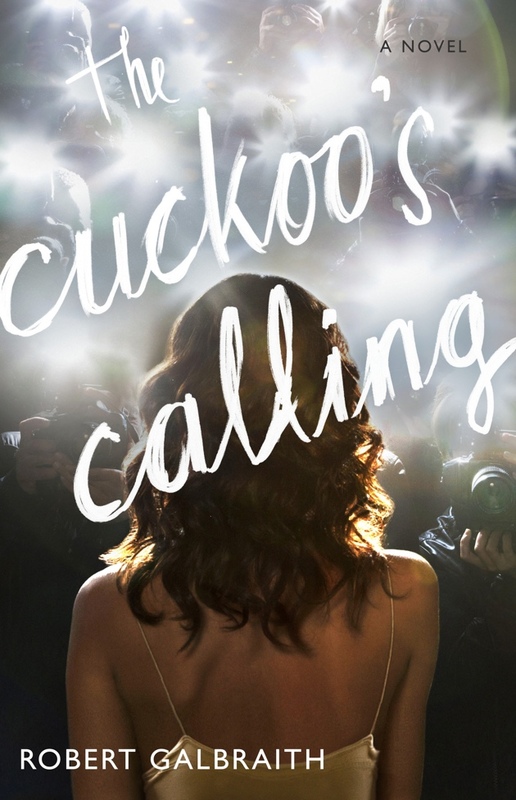 So, if you AREN’T a Harry Potter fan and love crime thrillers, you will love The Cuckoo’s Calling. You’ll probably love The Silkworm and Career of Evil. If you ARE a Harry Potter fan and love crime thrillers and can mentally separate Rowling from Galbraith, you will probably love them to. As for me, JK Rowling is the author of Harry Potter, and I think that’s where she’ll have to remain.